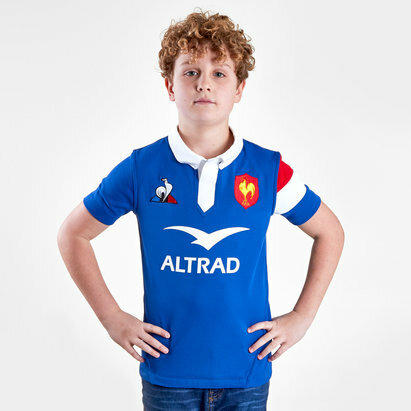 Fly the flag and showcase your passion for Les Bleus in this France 18/19 Youth Home S/S Rugby Shirt from Le Coq Sportif. 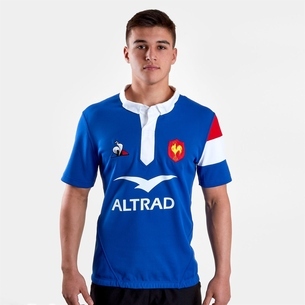 International rugby team France compete annually in the Six Nations. They have won the championship outright sixteen times, shared it a further eight times, and have completed nine grand slams. 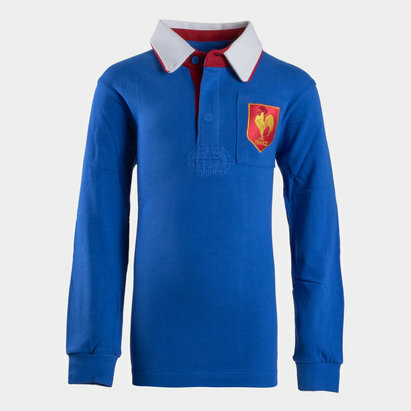 Ten former French players have been inducted into the World Rugby Hall of Fame. 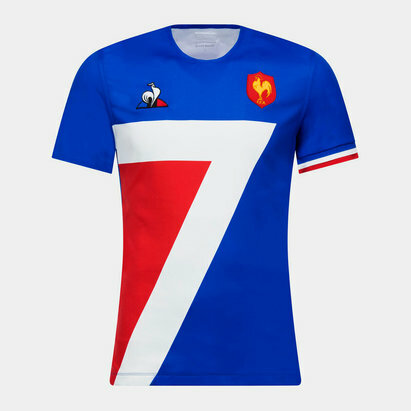 They have brought back Le Coq Sportif into the frame as their kit suppliers since they last kitted out Les Bleus in the glory days of the 70 and 80s. These two have now brought out a kit and training collection ready for the 6 nations and their World Cup preparations. 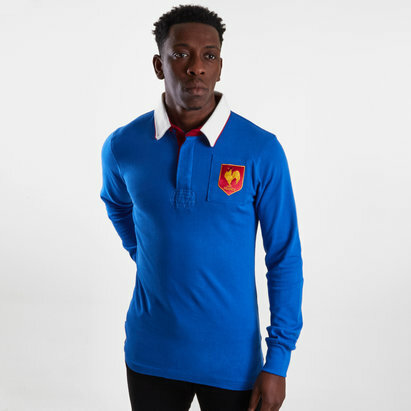 The French brand have decided to go classic and traditional with their first stab at the nations kit in over 30 years and comes as a welcome break from the bold and striking designs of adidas. 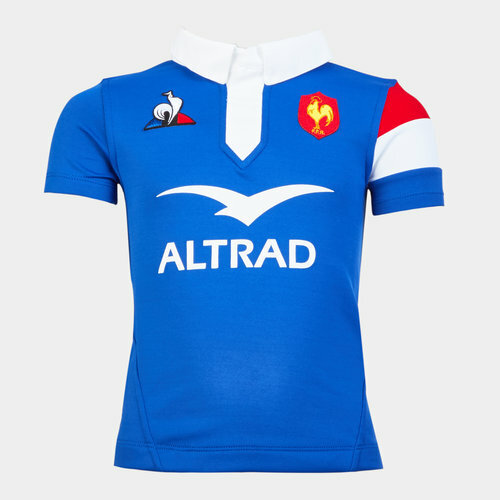 The French are back in their classic blue colour with a fold-over collar in white. 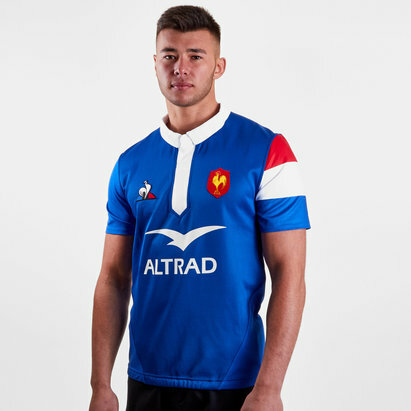 This shirt also has a red, white and blue stripe on the left shoulder. 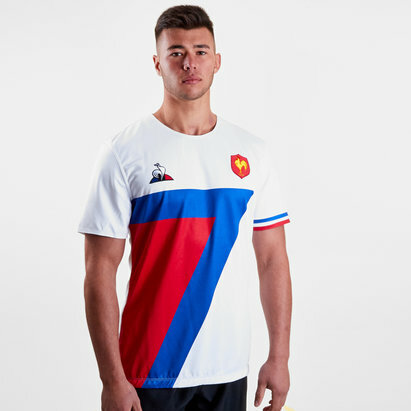 The Le Coq Sportif logo is on the right whilst the French badge is on the left. 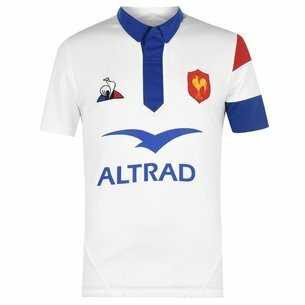 The sponsor logo - Altrad - has come back again from its first ever appearance on a shirt last season.